Yeah, at the time, I thought that sounded pretty smart. After all, I was, like, twenty-five. I knew what was up. To me, the idea of success was totally tied in to how many messes you had to clean up. The more you cleaned up, the less successful you were. 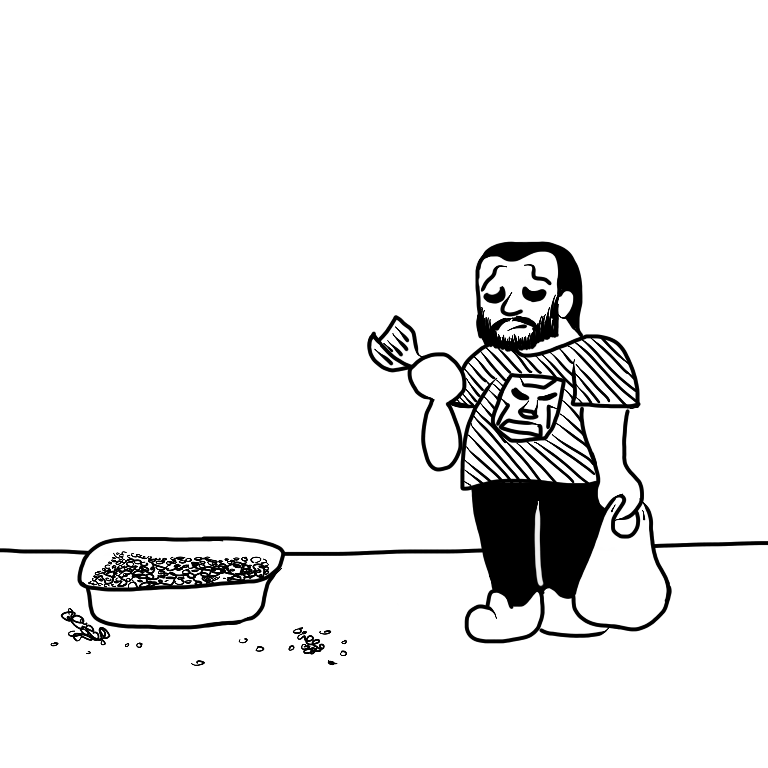 If you’ve ever had a cat, one of the first things you learned to do was to clean out the litter box every day, because the alternative to NOT cleaning out the litter box was… unpleasant. After all, it’s not like the cat can clean out its own box. That requires opposable thumbs, and every time I try to staple thumbs on my cat, it just runs away. And if that’s what we want from other people, I guess we should be willing to clean up some messes that aren’t our own, from time to time. I still wish those doctors would call their cranky patients themselves, though. *Note: In no way is my every post from here on out going to mention my cat. I’m not frequenting THAT part of the Internet!